Set of three metal civilian models to populate your town and get gunned down in the crossfire!. Models supplied unpainted. Part of a new range of civilians to complement the DMH 4Ground buildings sculpted by Martin Baker. 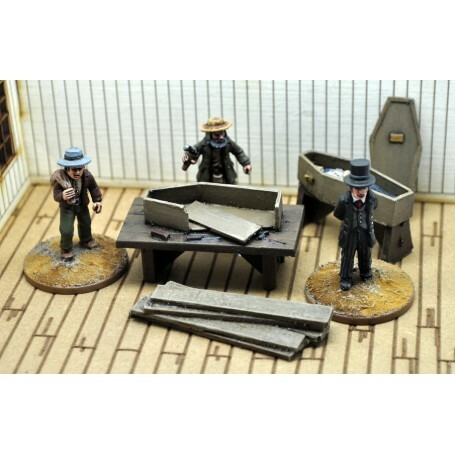 Scenery featured in Frontline undertaker's set and is not included but available separately.